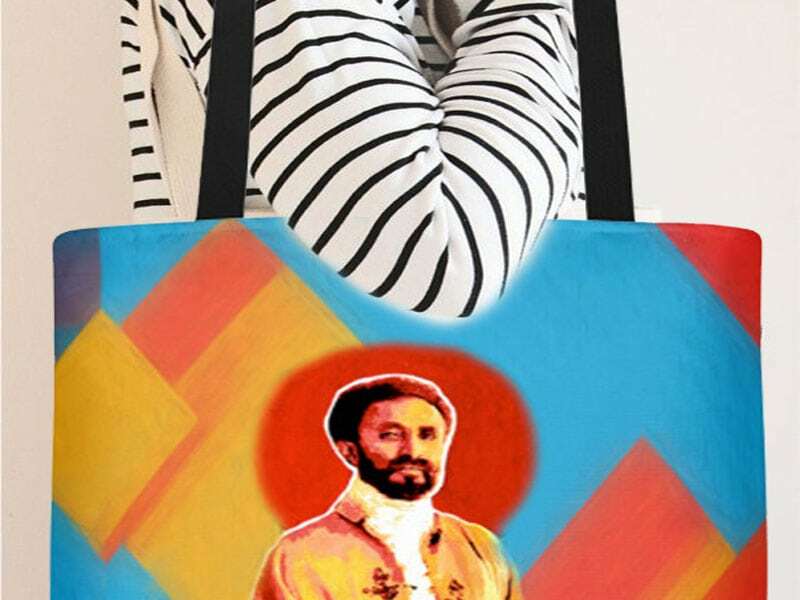 Ghana is known as the African Black Star and it’s rising again. It’s time to start business in Ghana and earn. You can earn a lot because Ghana’s economy is booming and joins the middle income countries in terms of producing oil. So, invest now in Ghana and get a highest return on your investment. Ghana’s market offers you much more than a high ROI; business and investment opportunities in Ghana come in a rare multi-pack of benefits. “While the rest of the world has been improving technology, Ghana has been improving the quality of man’s humanity to a man.” ~ These were the words of the late American poet and civil rights activist Maya Angelou. I am not sure when those words were spoken, but I think they serve as a heartfelt tribute towards Ghana’s achievement offering a relatively stable, democratic, and predictable political environment. This certainly goes a long way in Africa. But Ghana is also among Africa’s top five countries for ease of doing business and the combination of such enabling factors will quite frankly, make your life a whole lot easier when doing business there. And although Ghana has been somewhat affected by the current global economic slowdown there are plenty of opportunities to position yourself for more growth-years ahead. One trend that you need to be surely aware of when doing business or investing in Ghana is that the government currently pro-actively promotes “Made in Ghana” products. It is a nationwide long-term campaign and it will continue to attract high level support as efforts are made to reduce Ghana’s dependence on imports. I cannot stress often enough how valuable it is to tap pro-actively into such efforts and make them work for you. Another trend to be aware of is that Ghana is giving a wide range of tax exemptions in certain key sectors to attracts investors. This is great news, but it also serves as a very useful indicator that allows you to understand which industries will see increased policy support and expected upwards trending dynamics. Let’s have a look at some of those investor incentives: The sectors include Free Zone enterprises and developers (0 percent tax for the first ten years and 8 percent thereafter); real estate development and rental (0 percent tax for the first five years and 25 percent thereafter); agro-processing companies (0 percent tax for the first five years, after which the tax rate ranges from 0 percent to 25 percent depending on the location of the company in Ghana), and waste processing companies (0 percent tax for seven years and 25 percent thereafter) . [Source’ AfDB 2015]. Here you go! On the contrary, there are sectors where foreign investors as a whole are denied open market access, they include: banking, fishing, mining, petroleum, and real estate. And you need to check with the Ghana Investment Promotion Center in Accra or a local attorney to which extent you may be restricted if you want to tap into these sectors as a non-national. Following on-going investment and rapid growth of the economy, the real estate sector has seen significant growth in the past few years. This has been spurred by growth in demand for both residential and industrial property. There exists unmet demand leading to growth opportunities in the areas of construction and real estate development and management. Ghana’s property market is dominated by residential and commercial developments. According to PwC, the residential market is the most active. Commercial property is the second-largest segment in the market and includes office accommodation and retail space. The industrial segment is significantly smaller in size than the commercial market, while recreational and civic/cultural property development is virtually non-existent. 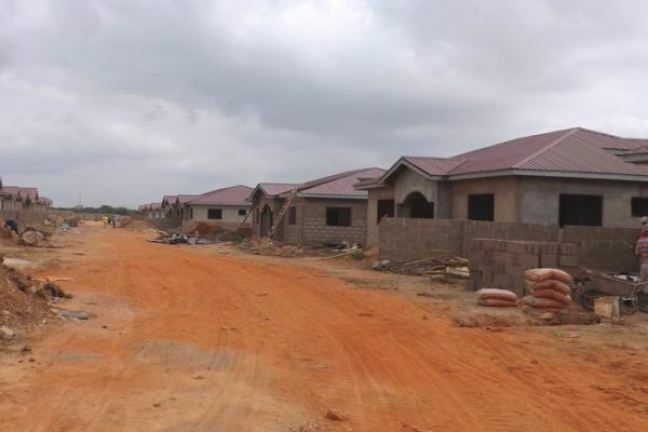 The housing deficit in Ghana is estimated to be in excess of one million homes! To address this deficit, there is a need to deliver approximately 150 000 housing units per annum in the next 20 years. To make this possible, the government is embarking on a housing programme to build over 300 000 housing units over the next five years, with the strong participation of the private sector through public-private partnerships. This is an overly ambitious undertaking by all standards, and it demonstrates the amazing investment opportunities across sizes and segments here. As so often in Africa, low-cost housing is an absolute priority for the government. Real estate companies with approval from the Ministry of Works and Housing are eligible for a five-year corporate income tax holiday in relation to the construction of low-cost/affordable housing. 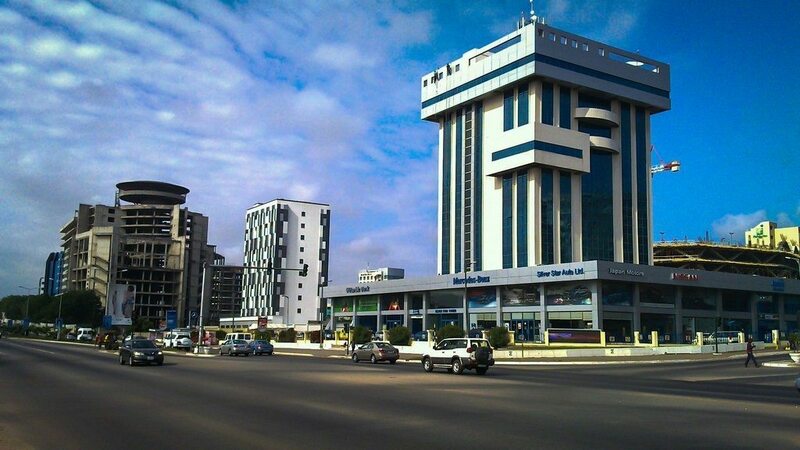 According to the CEO of Jone LongLaSalle, a financial and professional services firm that specializes in commercial real estate services and investment management, Ghana currently remains one of the strongest emerging markets for long-term property investors, as regulations are conducive and the quality of construction is of a relatively high standard. Currently, Ghana is a net food importer, importing over US$450 million worth of rice alone annually, together with substantial amounts of chicken, meat and dairy products. This is already a clear indicator for hot business and investment opportunities at your end: Local rice production, livestock production and dairy processing. Furthermore, rapid urbanisation and rising per capita income in Ghana are driving significant increases in domestic demand for, and consumption of, staple crops. Amazing opportunities also exist in the processing of cashew, which is a top crop in the country. Currently, there is little capacity for processing them locally, and opportunities exist to expand processing capacity to serve both local and export markets. 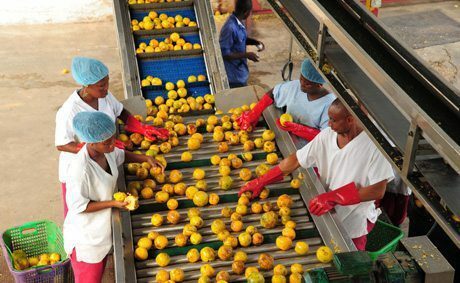 Companies engaged in the business of converting crops, fish or livestock produced in Ghana into edible canned or other packaged products, other than in their raw state, enjoy a tax holiday of three years from commencement of commercial production. The same goes for those producing by-products from agricultural waste. Opportunities in Ghana are also available in relation to the provision of agricultural inputs such as improved seeds and agrichemicals, including fertilizers, pesticides, fungicides, herbicides, veterinary drugs, vaccines and chemicals, animal feed and feed ingredients, etc. And with Kenya and Ethiopia leading ahead, floriculture is said to offer a lot of opportunities as Ghana’s climate and topography make the country suitable for the cultivation of a number of exotic flowers for export. Technology and services in the agricultural sector – which include irrigation, heavy equipment hiring (i.e. hiring of tractors, ploughs, harrows and combine harvesters, etc.) 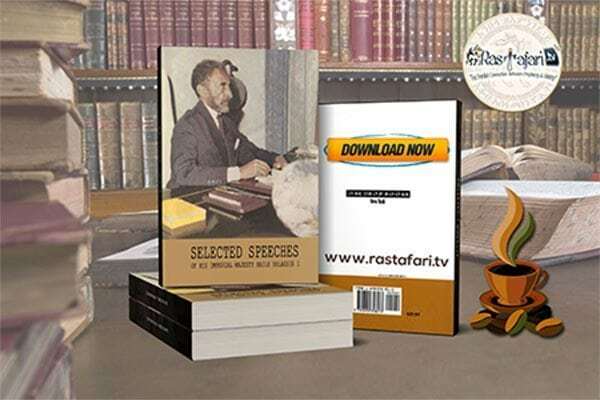 – provide further investment opportunities. And, investment opportunities also exist in the storage industry. This is not only a post-harvest problem in Africa, but storage is also urgently needed to store bulk for export. Commercial crops that have opportunity to flourish in Ghana include cocoa, palm oil, coconut, coffee, cotton, kola and rubber, cassava, yam, maize, rice, millet, sorghum and plantain, mango, tomato, pepper, okra, eggplant, onion , pineapple, citrus, banana, and cashew. 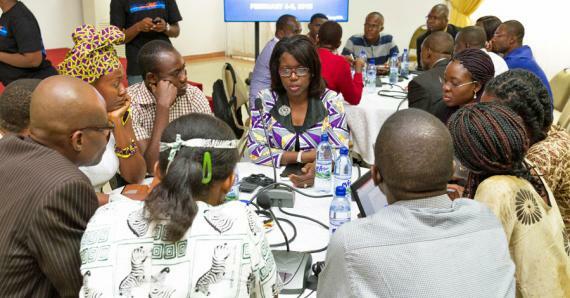 Over the years, several initiatives have been made by the Government of Ghana and other agencies to develop the ICT infrastructure so as to bridge the digital divide between Ghana and the developed world. In order to facilitate ICT development, the government has implemented a number of high-profile initiatives. Ghana’s cellular SIM subscriber numbers are inching close to the country’s 25.1 million population. ICT park construction is underway on a 20 hectare ICT park in Tema. The project is sponsored by the World Bank’s International Development Association with the aim of building a technology village which will serve as the ICT hub of the country. Hope City project Ghana also launched the Hope City project in March 2013. The project will feature Africa’s tallest building and is expected to employ more than 50 000 people. More than 25 000 inhabitants are expected to eventually occupy Hope City. It will include an IT university, a residential area, a hospital, as well as social and sporting amenities. The ICT sector is government driven on the basis that it is the key prerequisite for luring new investors to Ghana – this is excellent for you if you are interested in investing in ICT projects or Ghanaian tech entrepreneurs [Source PwC]. These are all indicators that Ghana means business in the ICT sector! 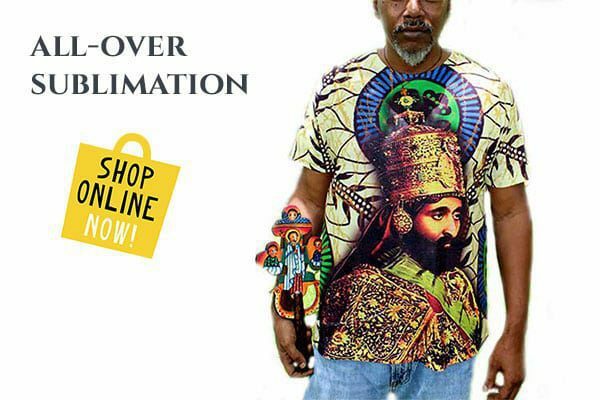 The trends are positive and upwards trending – a great opportunity for you to step in. But you don’t need to wait until these ambitions projects have finished. A great way to access current ICT opportunities for investment is to get in touch with the local ICT hubs and incubators, which are usually packed with projects and talents in need for investment. Click here for a list. In short, Ghana is committed to improving its ICT infrastructure; hence any proactive ICT initiative at your end is likely to receive enormous government support. I think Ghana is a perfect choice if you are entering Africa for the first time: It offers a very enabling business environment, political stability, economic growth, and a range of dynamic industries that offer exciting opportunities and prospects. If you want to get started, your first stop in Accra should be the Ghana Investment Promotion Center to get the necessary guidance and support. For more reliable investment avenues read my post: 7 Reliable Avenues How To Invest Your Money In Africa. I wish you much success! Are you Ready To Take Action ? If you want to finally walk the talk in 2016 and start doing business in Ghana or elsewhere in Africa, you will now have the rare opportunity to do that with my hands-on support and guidance to cut down time, risk, and related cost for you. 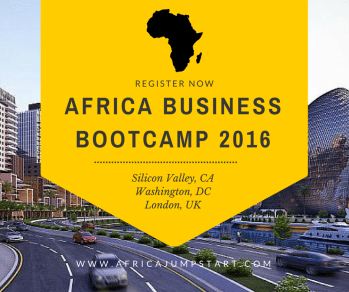 Join our Africa Business Bootcamp 2016 – in #LondonUK #WashingtonDC #SilliconValleyCA so you can get started faster and more confidently. REGISTER NOW until seats last. Frankly, there is no other event like it anywhere out there. It will get intense, so you can finally deliver successfully !